The most challenging tasks remain in African countries, particularly in Sub-Saharan Africa for accomplishing the Sustainable Development Goals (SDGs). What are their remaining issues in relation to the education goals of SDGs, namely, the Goal 4? What implications does the educational development in the region have for the achievements of other goals of SDGs? Are the SDGs relevant to an African context, after all? 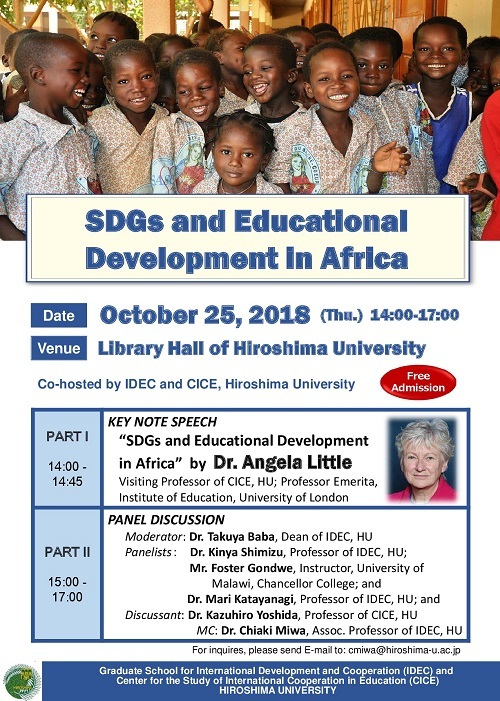 This symposium aims at discussing the relationships between the SDGs and Educational development in Africa from various perspectives.